BearDen Consulting partners with businesses of all sizes; focused on transformation, scaling for growth, specialized programs and leadership development. Establishing or rethinking business and operating models are critical to stay vital. BearDen Consulting ensures organizations stay creative, sustainable and ahead of the competition. Having a deep understanding of strategy and operations we can analyze, create and re-engineer to achieve your goals. Coaching for a variety of issues across a wide spectrum of industries. No matter what the business is, engaging coaching and development programs are essential in keeping companies agile and competitive. Individual coaching & mentoring provides an external perspective, focusing on key areas of opportunities. Are you looking for more personal satisfaction with work and personal life? Understanding your strengths allows you to grow and develop, expanding your skills and competencies. Inspire Creativity: An extra brain on the team. Provide an outside perspective, allowing for diversity in thought and boosting your internal team's creative thinking. How Engaged Are Your Employees and Why it Matters? How Are You Measuring Your Customer Service? 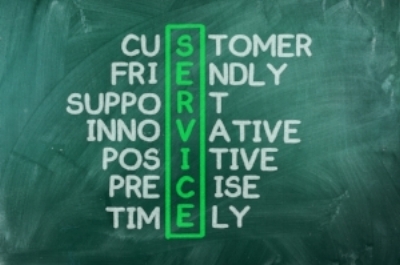 Is Your Customer Service A Differentiator? What is a Contact Center Assessment? In short, it’s an assessment designed to identify the unique needs of your contact center, also known as a call center or customer service center. A contact center assessment shows what opportunities to focus on in order to improve client service or employee engagement. Doing a holistic assessment will ensure that your recommendations will not have negative implications elsewhere in the operation. Assessments include technology, people, process and expectations to ensure a well-rounded evaluation. Contact Center optimization is the most challenging aspect facing operations today. Being available when your clients need you while offering your associates flexibility is key to your contact center’s success. Do you need assistance balancing the needs of your clients and associates? We have proven strategies to help you get creative to ensure you are retaining your clientele and employees. How many metrics are you tracking for your associates? Does your team debate the quality “score” while missing the essence of the overall interaction? What behaviors are you creating with all the metrics? Too many metrics, without understanding the underlying behaviors will not create the client experience you are looking for. Developing and implementing a quality contact center program concentrated on the individual strengths of employees is extremely valuable. Identifying the unique needs of each client and moving away from the antiquated “checklist” or a metrics-only approach is a game changer. Working with your team, we will create an engaging environment where associates are leveraging their strengths and clients are wowed by the experience.